Ikarios plays host to Dionysos. Marble. Late 1st cent. BCE — early 1st cent. CE. 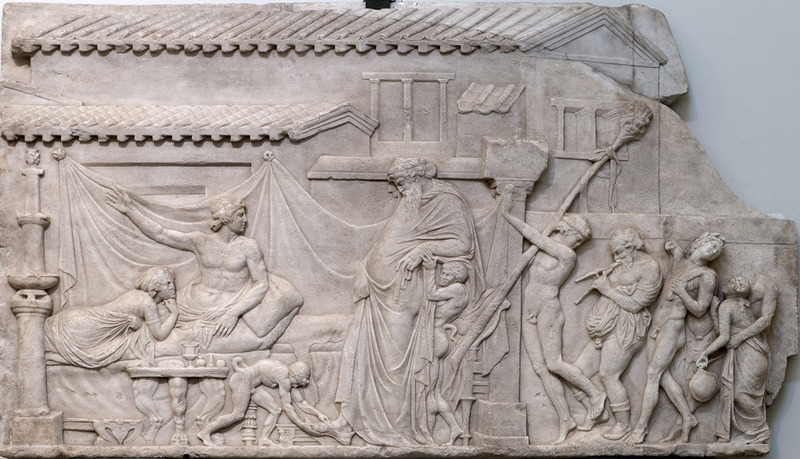 See also similar reliefs from the State Hermitage in Saint Petersburg and from the Louvre.